Electrical breakdowns, 24hr emergency service. 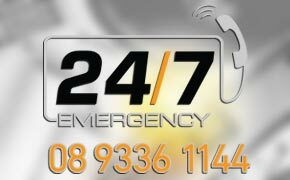 We offer a 24/7 emergency service for every eventuality. We all know that some things can't wait. This is why CAPA Electrical offer emergency call outs 7 days a week, 24 hours a day, and will work around the clock to fix your problem. We understand that it can be stressful when your electricity fails, especially when you know that it could take a long time to be fixed. We offer an Emergency Electrician service across Perth metropolitan area, and can have a fully trained electrician with you as soon as possible, so you don't have to wait to get the problem fixed. For both domestic and commercial clients, we aim to respond to all emergency callouts within the hour, thus leaving you with the smallest possible disruption to your power. For emergency callouts, please remember that the best way to contact us is by telephone.